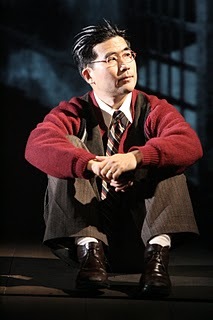 March 15 — “Dawn’s Light: The Journey of Gordon Hirabayashi,” a one-man play, will be performed on Monday, March 15 at the Gardena Mayme Dear Library (County of Los Angeles Public Library), 1731 W. Gardena Blvd., Gardena at 6:30 p.m.
forcibly remove and imprison all people of Japanese ancestry on the West Coast. As he fights to reconcile his country’s betrayal with his constitutional beliefs, Gordon journeys toward a greater understanding of America’s triumphs and failures. Written by Jeanne Sakata, “Dawn’s Light” is based on a true story. This program is part of the East West Players Theatre for Youth Tour and is being presented by Southern California Edison. The EWP Theatre for Youth program offers new ways to see the world through performance-based and participatory theatrical programs that stimulate students to discover Asian Pacific people and cultures. For more information, call the library at (310) 323-6363.